SATHYA Technosoft have a team of SEO/SMO/SMM experts with strong hold on On-Page, Off-Page, SMO, PPC and many other SEO strategies (DEFINITELY WHITE-HAT) have served more than 1000 satisfied customers globally. 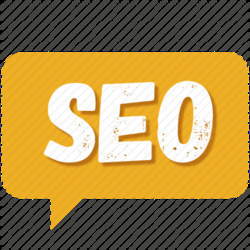 1) We will thoroughly Analyze your website in terms of errors, broken links, weak areas in terms of SEO, Traffic, Current rankings, number of pages being indexed by search engine crawlers, Page-Load time, and so forth. 2) Then based upon the evaluation of site in its current state, we address each problem area followed by the COMPETITOR ANALYSIS i.e. how other relevant sites were able to get into your targeted SERP's and Keyword research/analysis etc. 3) We then outline a fully customized SEO Implementation Plan and Social Media Plan best suiting your website's needs. 4) We completely follow and implement White-Hat Techniques as per Google guidelines. Please see the attached doc for details of our task. Note- All the above work and submissions will be done in compliance to Google's T&C using ONLY WHITE-HAT TECHNIQUES. Moreover, we will provide you with all the Reports on regular Weekly/ Monthly basis. We ensure you the best results.